Hyundai has finally clipped the water wings on its new Genesis brand. Not to be confused with the Hyundai Genesis model, Genesis is now to be its own subdivision of Hyundai Motor Group. Think what Acura is to Honda and what Lexus is to Toyota. We’re witnessing the birth of yet another luxury brand. The company no longer churns out cheap vehicles like the Excel or early Elantra. Instead it produces highly competitive, well-styled vehicles. The German luxury pantheon is a new game entirely. It is an almost impossible challenge. Luckily Hyundai already has already gotten its feet wet, having dabbled in luxury with the Genesis and Equus sedans. 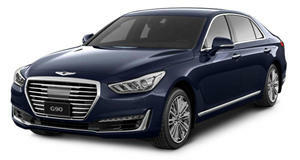 However, now the company intends to launch Genesis as a separate brand, under which the Equus and Genesis sedan will become part of the portfolio and feature new alphanumeric names. The Equus successor is now the G90 and the Genesis will become the G80 later on. The first Genesis product was unveiled in Detroit. Dubbed the G90 (in Korea the EQ900), it is slated to compete against the Mercedes-Benz S-Class and Audi A8. Really that sounds more like your cousin’s peewee soccer team playing Real Madrid. It won’t go well. 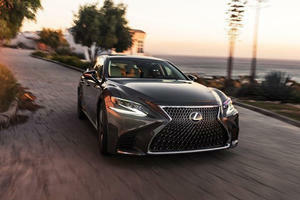 Yet similar things were said when Toyota brought fourth the Lexus LS400. That was the car that combined German luxury and class with Japanese reliability. It upset the system and claimed its own share of the market. Can Genesis follow suit? It is off to a good start. Luc Donckerwolke, formerly of Bentley and the Volkswagen Group, was enlisted and will lead Hyundai's newly created Prestige Design Division. Genesis will field six models with rear-drive architecture by 2020. The Equus, when released, never registered as much of a threat to the automaker's established competitors. Less expensive and smaller, it seemed exactly like it was: a company's first foray into the full-size luxury car market. The G90 features a 124.4-inch wheelbase and 204.9 inches in overall length. Those numbers equate to a growth over the Equus of 4.5 inches. Interior-wise dimensions fall short. Only 37.8 inches of legroom are available in the second row, a paltry sum compared to the A8’s 42.9-inches and S-Class' 43.1-inches. Exterior design generously borrows from the Hyundai Vision G concept showing a clear design departure from the Hyundai lineup and a design aesthetic for Genesis to explore with future models. The design molds into a deeply restrained yet dignified presence much like the Lexus LS400 when it first arrived. Genesis brought a multitude of technological features to the G90 as well. Adaptive cruise control, auto-braking, driver-drowsiness monitor, and lane-keeping assist are included. The G90 will feature two available engines. The familiar 5.0-liter V8 makes an appearance and is available with 420 horsepower. A new twin-turbocharged 3.3-liter V6 producing 365 horsepower will be available as standard. Both engines are mated to an eight-speed automatic and will be available with rear-wheel drive. The G90 seems less inclined to do battle with the S-Class and more suited for a bout with the upcoming Lincoln Continental and Cadillac CT6. Either way, it looks up for the fight.